Before his defection, he was a career diplomat, fluent in English, who had served in Britain, Denmark and Sweden, often delivering passionate speeches glorifying the Kim family that has ruled North Korea for seven decades. In the South, Mr. Thae, now affiliated with the Institute for National Security Strategy, a think tank arm of the National Intelligence Service, has vowed to spend the rest of his life trying to bring down the North Korean government. Mr. Thae said he had high expectations when Mr. Kim took power after the death of his father, Kim Jong-il, in 2011. Schooled for several years in Switzerland, Mr. Kim was expected to help modernize his impoverished country. Instead, he resorted to a “reign of terror” by executing scores of officials, including his uncle Jang Song-thaek, whom he thought posed a challenge to his power, Mr. Thae said. The former diplomat said he had come up with a detailed plan for his defection, first ensuring that his two sons joined him and his wife in London. 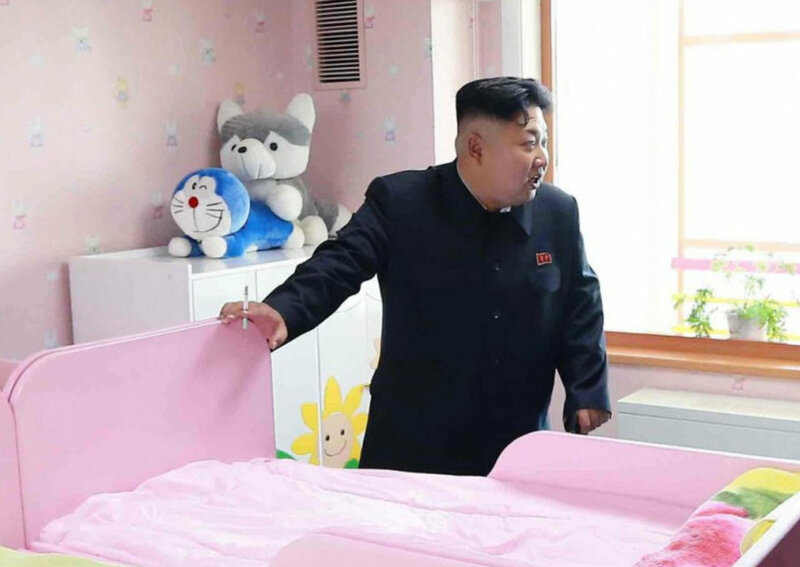 (North Korean diplomats are required to leave a child in the North, a measure intended to prevent their defection.) He declined to reveal details of his defection plan and the circumstances. The day Mr. Thae broached his plan for defection with his sons, he told them that he wanted to break the “chain of slavery” for them, he recalled. They wanted to know if they would have free access to the internet, books and movies in the South, he said. The best way to force change in the isolated North, he continued, is to disseminate outside information there to help ordinary citizens eventually rebel. 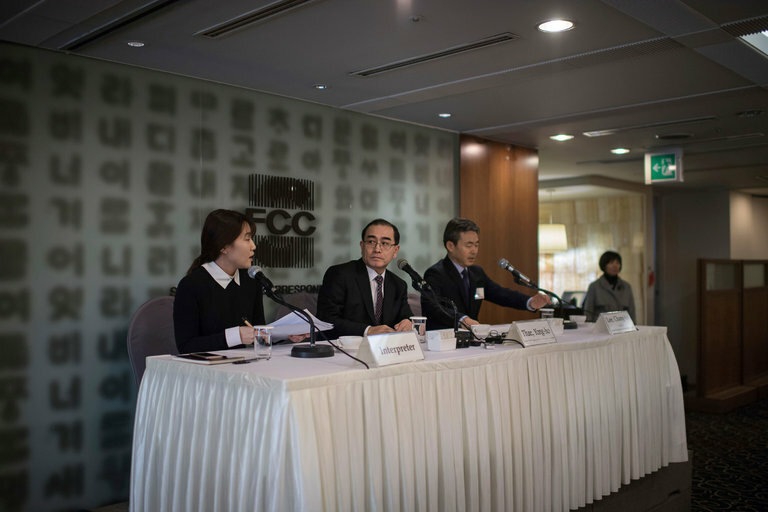 South Korean TV dramas and movies smuggled from China are already popular in the North, he said. But the leader’s efforts to clamp down on information and products from outside North Korea have been unsuccessful because the police accept bribes in exchange for freeing smugglers and people caught watching banned movies and dramas. After months of debriefing by the authorities in South Korea, Mr. Thae used meetings with the country’s politicians and the news media to suggest that North Korea was determined to be recognized as a nuclear power, just as India and Pakistan are. Last year, the North conducted two nuclear tests and launched more than 20 ballistic missiles, and it has openly vowed to develop the ability to hit the United States with a nuclear warhead. “It won’t happen,” Donald J. Trump, then president-elect, said at the time. During the election campaign, Mr. Trump had said he was willing to sit down with Mr. Kim and perhaps have a hamburger with him. On Wednesday, Mr. Thae warned against compromising with the North, arguing that sanctions were effective. In recent interviews with local news outlets, he said that North Korea had lost annual income worth tens of millions dollars, after Britain froze accounts last year held by its state-run insurance company as part of sanctions recommended by the United Nations. Until then, the company had claimed large insurance payments through fabricated documents, he said. Mr. Kim wanted to negotiate a compromise, under which the United States and South Korea would cancel their joint annual joint military exercises and lift sanctions on the North in return for a moratorium on North Korean missile and nuclear tests, Mr. Thae said. But such a deal would validate Mr. Kim’s argument that he had been forced to develop nuclear weapons as a reaction to American hostility, he said. “That is really a trap Kim Jong-un wants,” Mr. Thae said.